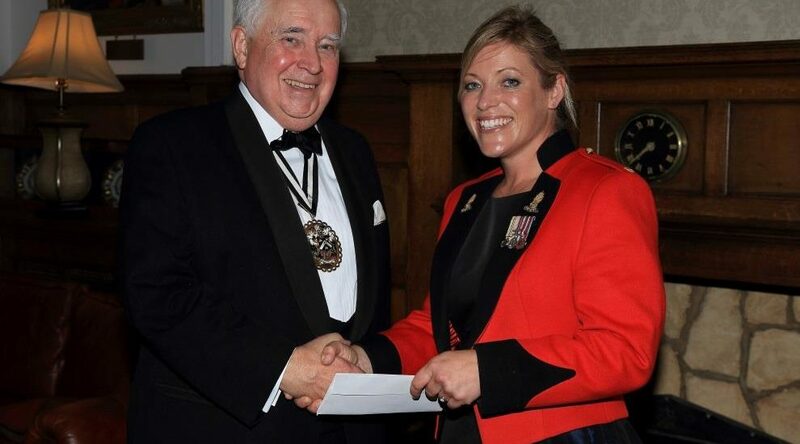 I am pleased to report that the winner of the 2017 Masons’ Company Prize for Innovation – the first such prize presented to an officer of the Corps of Royal Engineers – has been won by Major Rachel Beszant , Officer Commanding 517 Specialist Team, Royal Engineers. Major Beszant was the project officer charged with delivering Project ANEMOI (the construction of technical and domestic accommodation to three sites in the Falkland Islands). addressing each one with tenacity, passion and sound engineering acumen. The first austral spring and summer of construction suffered from unseasonably poor weather, significantly affecting the planned construction programme and forcing her to make the bold decision of recommending an extension of time to the Project Board, a correct decision made at exactly the right time. Most notably, she led personally on the implementation of a ‘project dashboard’ which dramatically improved the passage of information relating to the project, allowing a much greater degree of understanding as all stakeholders were updated on a weekly basis and were able to drill right down into any detail they may wish. Finally, she also initiated and oversaw a highly detailed and encompassing lessons learned process, personally leading workshops where frank and honest discussions lead to useful lessons to be recorded and taken forward for the benefit of the Corps. 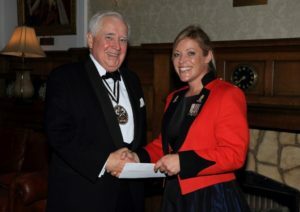 As part of her prize the Master has invited Rachel to apply for the Freedom of the company by Presentation and we look forward to her company at future Company events.